I’ve been asked to post some images of the area Georgiana moved to when she left Augusta WA in May, 1839. So here you are! 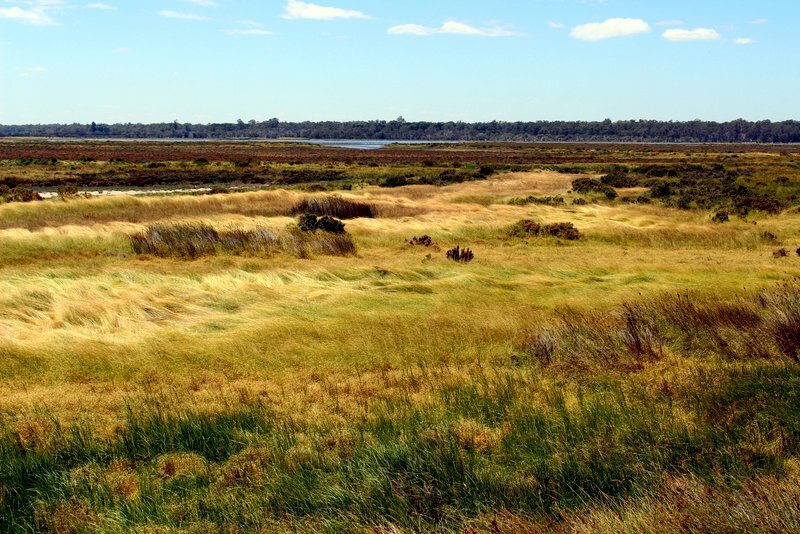 The Molloys and the Bussells lived on the banks of the Vasse River, not far from the coast. Today, Busselton covers most of the area where the settlers had their grants and homesteads, from the beach to the inland pastures of Fairlawn and Cattle Chosen. Photographs of the busy town of Busselton today would give you little idea of the place in the 1830s and 40s but I’ve collected video clips and photographs of the parts that haven’t changed as much. For anyone who hasn’t visited this part of WA, it will give you a good idea of the way ‘the Vasse’ landscape looked when Georgiana lived there. This video takes you from the flat paddocks familiar to the Molloys (around Fairlawn and Wonnerup where their neighbours, the Laymans, lived) through the wetlands that still provide a home to waterbirds on the edges of the town (crossed by means of a narrow causeway when John Molloy needed to take his two-wheel carriage into Busselton) and on to the scrubby bush and white-sand beaches of the coast along the Molloy property. It also shows some of the different habitats Georgiana drew on when she went out to collect seeds and botanical specimens. Often riding out on her horse, Kate, she travelled the whole area around her home including these open paddocks, marshy areas and dry, exposed, sandy places.